Clare qualified from the AECC in 2005. She began working in a clinic whose interest was in sports injuries, treating the local football and ice hockey teams, and it was here that Clare learnt about the treatment of common sporting injuries and rehabilitation. 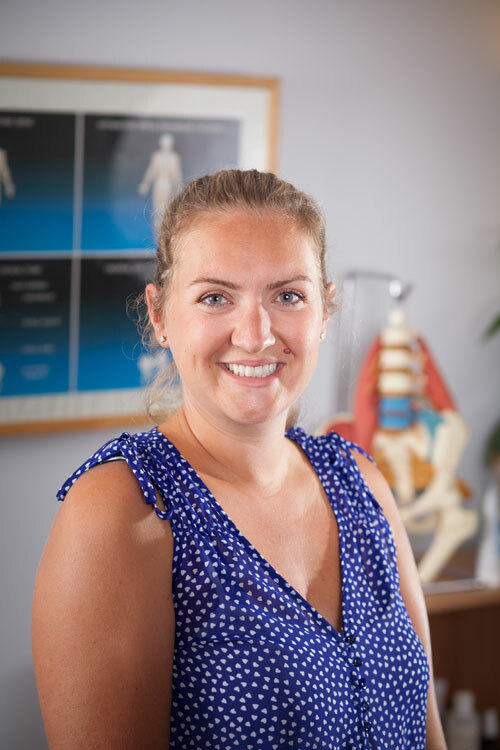 Clare treats a wide variety of complaints ranging from odd aches and ‘getting older’ pains and stiffness to sporting injuries to severe 10/10 back pain, and she works with a wide range of ages from hours old to 90 years plus. Clare joined the practice in 2006 and has a holistic and gentle approach to all her patients. Her treatment can include medical acupuncture, nutrition and rehabilitation advice, cranial work, activator methods, Thompson drop and Gonstead methods. She has been using Sacro Occipital Technique with great results since 2005 and will be taking her advanced and cranial exams in the near future. Today Clare’s passion lies in the treatment of pregnant mums, babies and children. Being a new mum herself she understands first hand, even more than ever, the benefit of chiropractic before, during and after pregnancy and the value it holds in treating babies and children. She first received chiropractic care after a horse riding accident which left her with chronic headaches and pelvic pain; after exploring many avenues of care, she turned to chiropractic. After receiving treatment and feeling the benefits of also having her horse treated, she loves treating equine enthusiasts and then referring their horses for chiropractic care so the two can work as one harmonious team.